WEDNESDAY, Dec. 30, 2015 (HealthDay News) -- Stimulant medications, such as those used to treat attention-deficit/hyperactivity disorder (ADHD), may raise the risk for psychotic side effects among young patients who have a parent with a history of serious mental illness, new research suggests. The study included 141 children and young adults aged 6 to 21. 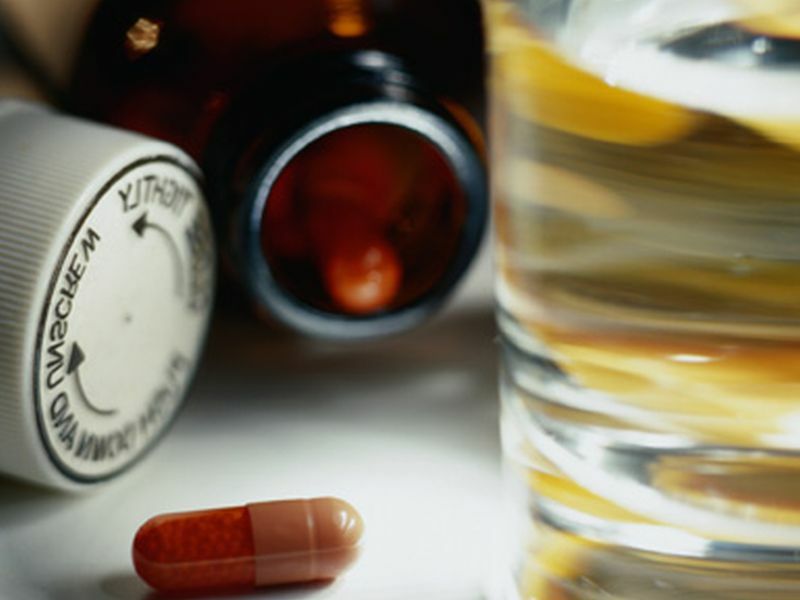 Nearly two-thirds of those prescribed stimulant medications had a psychotic side effect. These side effects included hallucinations, delusions, hearing voices, and/or perceptual disturbances, the researchers said. By comparison, psychotic effects affected just over one-quarter of those who had not taken a stimulant drug, the study showed. "These meds can be extremely helpful, including in kids with a family history of mental illness," said study lead author Dr. Rudolf Uher. He is an associate professor and Canada research chair in early intervention in the department of psychiatry at Dalhousie University in Halifax, Nova Scotia. "So this should in no way mean that we should stop using stimulants," he added. Uher stressed that doctors have long known that these medications can cause hallucinations and other psychotic symptoms. "[But] what is surprising is the quantity. No one suspected that these side effects could be so common," he said. "What it means is that docs need to ask kids about unusual experiences. They do not tell you unless you ask," Uher explained. "And then, make decisions on risk-benefit balance." The study authors said the study's design didn't allow them to prove a cause-and-effect relationship, only to find an association between stimulant medications and psychotic symptoms. The study findings were published online Dec. 30, and in the January print issue of Pediatrics. ADHD affects between 5 percent and 10 percent of school-aged kids in the United States. Stimulants are considered a first-line treatment for the condition, the study authors said. For the current investigation, all of the children, and their parents, were from Nova Scotia. Parents and children underwent psychiatrist-led mental health screenings. Interviews and pharmacy records confirmed whether stimulant medications had been prescribed for the children. All of the children had at least one parent with a history of major depressive disorder, bipolar disorder, or schizophrenia. Nearly one-quarter of the children were diagnosed with ADHD, according to the report. About 17 percent of all the children -- including half of those diagnosed with ADHD -- were prescribed stimulant medications, such as Ritalin (methylphenidate), Vyvanse (lisdexamfetamine), or Dexedrine (dextroamphetamine). These medications are known to limit the hyperactivity, inattention, and impulsivity associated with ADHD, the researchers said. The children were also interviewed to assess any drug-related "funny feelings" that might represent a psychotic experience. In the end, the frequency with which stimulants were associated with psychotic events was found to be much higher than indicated by previous research. That finding prompted the investigators to suggest that the risk for psychotic side effects should no longer be considered rare among such children. They advised doctors to carefully monitor children and teens taking stimulant drugs. Erin Schoenfelder, an assistant professor with the University of Washington School of Medicine in Seattle, agreed that "it's useful for practitioners to be aware of heightened risk for certain kids." But, she said, more research will be necessary, given that the new study didn't distinguish between children with mild or severe mental illness. "Which means that we can't rule out that those kids with severe mental illness were not inherently at higher risk for these side effects, because those with milder difficulties might have been less likely to be prescribed medication in the first place," Schoenfelder said. Dr. Andrew Adesman, chief of developmental and behavioral pediatrics at Cohen Children's Medical Center in New Hyde Park, N.Y., said his own clinical experience suggests that the study findings make sense. "It seems that stimulant-related psychotic symptoms associated with stimulant treatment are more common, more complex and more extensive among children of parents with mood disorders compared to children whose parents do not have active mental illness," he said. "Pediatricians who care for children who have one or more parents with mental illness should be vigilant for the development of psychotic symptoms in these children," Adesman advised, "especially if stimulant medications are being prescribed."